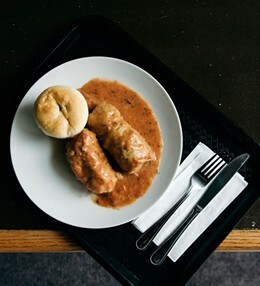 Janina brings Polish recipes to the table. The menu changes often, but don’t be surprised to find goulash and crepes beside sandwiches and lasagna next time you drop by. While in Burnside, it’s worth a stop by Janina's Cafe for a couple of pies.